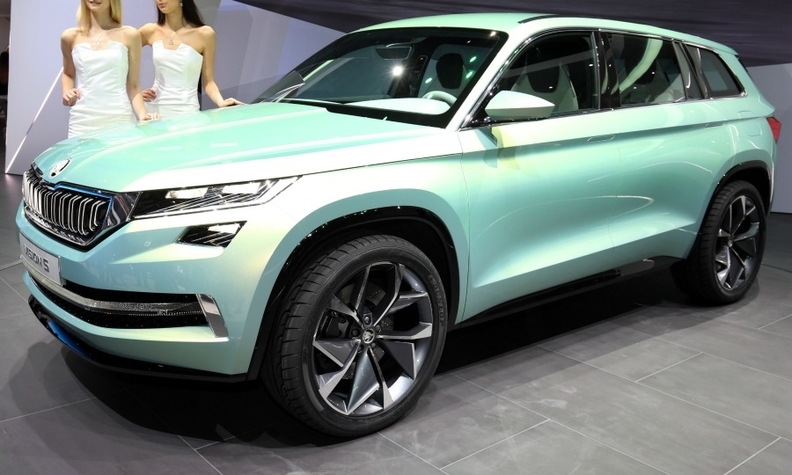 Skoda will launch a production version of its VisionS concept in China next year. Volkswagen Group's Skoda brand will take an undisclosed stake in one of VW's joint ventures in China as it expands its SUV lineup in its biggest single market. VW will take an equity stake in SAIC Volkswagen Automotive, Skoda said in a statement. The joint venture will invest 2 billion euros over the next five years to strengthen Skoda's position in the Chinese auto market, the statement said. Skoda aims to double its sales in China by 2020, CEO Bernhard Maier said in the statement. Last year, the brand sold 281,700 vehicles in China, representing about a quarter of the brand's total global deliveries. Skoda will add three new SUV/crossovers to its China model range. SUV/crossover sales are booming in China but Skoda currently has only one offering, the Yeti compact model. A production version of the VisionS large SUV will go on sale in China in the first half next year, Skoda said. Another body style of the SUV is also planned, along with what the brand called a "crossover utility vehicle." The VisionS was unveiled at the Geneva auto show on March 3 and will be shown at the upcoming Beijing auto show. The 2 billion euro investment also includes expenditures for electric drive concepts, increased connectivity and digitization, Skoda said. SAIC VW builds Skoda cars in Anting, Nanjing, Yizheng, and Ningbo. VW Group also has a joint venture with China FAW Group, which produces Audi and VW brand cars.